[D’Iberville, Mississippi, USA] – D’Iberville Middle School student Pierson Feeney finds himself checking the clock often when he has down time in class. The 11-year-old said he anticipates dismissal so he can hop on the bus and head to the Gulf Coast School of Performing Arts.”I’m always looking at what time it is, wishing it was time to go so I could go to dance,” he said. Many D’Iberville Middle students have never seen him on stage, nor do they understand how the art form changed his life for the better, the sixth-grader said. Pierson was diagnosed with attention-deficit hyperactivity disorder when he was 4. By the time he was 6, he began to show differences in behavior that led doctors to put him on morning and night doses of prescription medicine. Now, Pierson is a different child. He says his dance is how he gets out his frustration and how he gets his excitement out. But it seemed to make his condition worse, Pierson’s mother, Marsha Feeney, said. By the time he was 9, it was hard for the family to go out in public together. Pierson had developed ticks, and medical professionals diagnosed him with Tourette Syndrome. Marsha Feeney was desperate to help her son. She noticed that Pierson constantly shuffled his feet, so she asked if taking tap dancing lessons would be something he would like. “His ADHD was disrupting our whole family,” Marsha Feeney said. “We, at the time, could not go to dinner. We could not go to birthday parties. We pretty much stayed home. What started as a couple of tap classes now encompasses every single dance class offered at Elaine Kulick’s performing art school: ballet, jazz, hip-hop, contemporary, ballroom and house. He also takes tumbling and acting classes. “It was as if God whispered and said, ‘We need to find a useful and productive use of all this energy,’ ” she said. 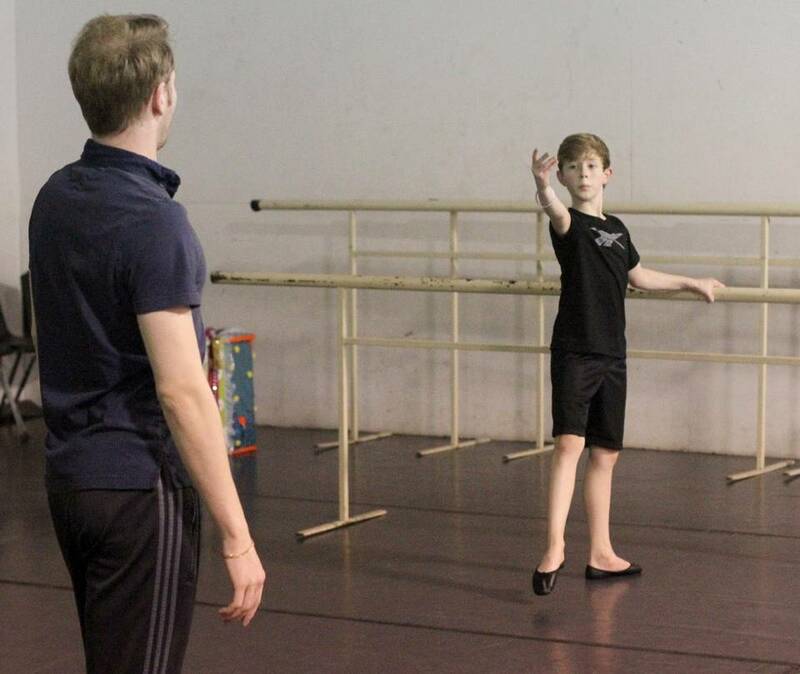 In two years since, Pierson’s technique has improved tremendously, and he earned a spot on the Gulf Coast Performing Arts Center competition dance team. After a year in dance, the ticks were gone. Pierson was off of almost all medication, but Marsha Feeney said her son still takes a low-dose of the ADHD drug Concerta before big tests or important days at school. Pierson goes to dance every single day after school and often stays until 8 p.m. or later. By the time he gets home, he’s covered in sweat and he’s oftentimes so worn out that it’s easy for him to fall asleep. Pierson’s hard work in dance class paid off this year when he won three awards at a Hollywood Vibe dance competition at the Mississippi Coast Coliseum and Convention Center in Biloxi. 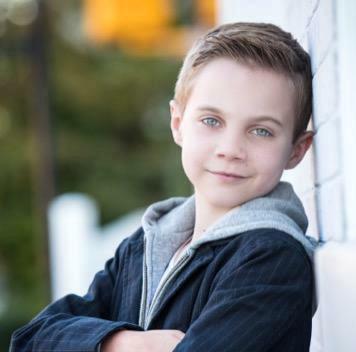 He earned the Junior Scholarship Award and the Los Angeles Talent Agency Award in his age division. Overall, he scored one of the biggest prizes: Regional Dancer of the Year. He will travel to Las Vegas from June 27 to July 2 and audition to be a part of Hollywood Vibe’s tour, a team that travels across to U.S. and hosts dance clinics. Pierson said when his name was called as dancer of the year, he had to pinch himself to make sure it was real. “I just couldn’t believe it,” he said. Hip-hop, house and ballroom coach Josh Burchette said he and Pierson did not get along when the then 9-year-old started taking class. “He didn’t like my classes at first,” Burchette said. But the coach discovered in class that Pierson really excelled in house, a sub-style of hip-hop dancing. “It started opening up other styles of hip-hop, and he started growing. 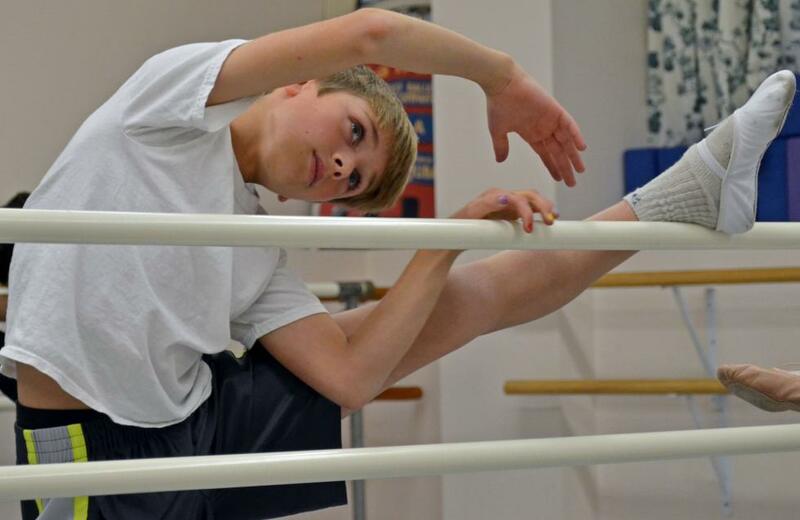 Ballet instructor Vasily Lunde said his class is one of the hardest because ballet movements have to be perfect. Lunde said he and Pierson have butted heads in the past, but he’s a hard worker and will push himself beyond his limits. “He’s not scared,” he said. Marsha Feeney said it was very hard for husband at first to appreciate Pierson’s passion for dance. He had to miss his son’s first live performance because of a prior engagement. But he saw his son on stage during last year’s competition, and his mind totally changed. Pierson said he hopes to dance professionally in the future. This story originally appeared in the SunHerald. [Cornwall, England] – A ballet dancer from St Just has been awarded three college scholarships to pursue a career in Performing Arts. Jordan Scrase has performed in a number of shows with the Hall for Cornwall’s youth ballet group Duchy Ballet Company, from Snow Wolf to his present role as Kai and Star, the male lead for their 2016 production of ‘Snow Queen & Stepping out to Gershwin’. After dancing with the company for nine years, he has now been offered three scholarships at Body Works, Cambridge, the Millennium School in London and the Performers College in Essex. As well as being a talented dancer and actor Jordan can turn his hand to many instruments from acoustic guitar, bass guitar, piano and drums, as well as utilising his footwork skills to play football. Having started dancing at Anne Webb’s dance school in Penzance as a young boy, Jordan continued his dance training at Capitol School of Dance with Terence Etheridge, and is currently doing the pre-vocational Performing Arts course at Jason Thomas Dance. Duchy Ballet will be performing The Snow Queen & Stepping out to Gershwin at the Hall for Cornwall on Friday March 11 and Saturday March 12 with matinees and evening performances. [Coos Bay, Oregon, USA] – — Dance is not just for girls. Dance Umbrella for South Coast Oregon was recently awarded a $5,000 grant from the Charlotte Martin Foundation, a private, independent foundation that caters to athletics, culture and education endeavors, especially in underserved areas like Coos County, as well as wildlife and habitat protection. With this grant, Pacific School of Dance is launching a tuition-free dance program for boys ages 9-18. The class will meet weekly starting Feb. 3, providing formal training in beginning, intermediate and advanced ballet — “because ballet is the base of all dance,” said Pacific administrative director Pam Chaney — as well as partnering and contemporary dance. The class will be taught by Maria Rosman-Allison, a Pacific instructor since 2007 with an extensive dance background. The school also plans to bring in male guest teachers. 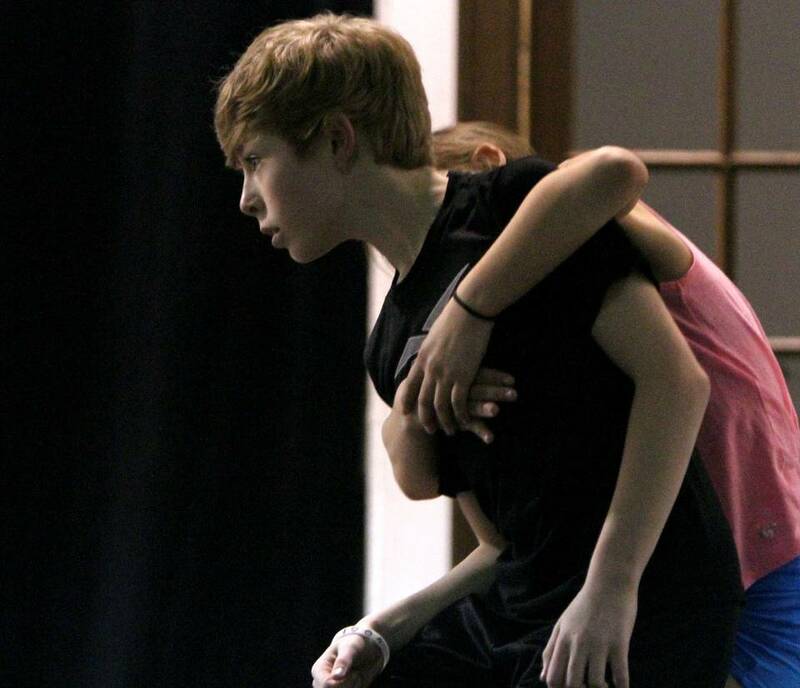 Chaney hopes to model the program after the Oregon Ballet Academy‘s free boys program in Eugene, taught by OBA director and former Houston Ballet, New York City Ballet and Joffrey Ballet dancer John Grensback. 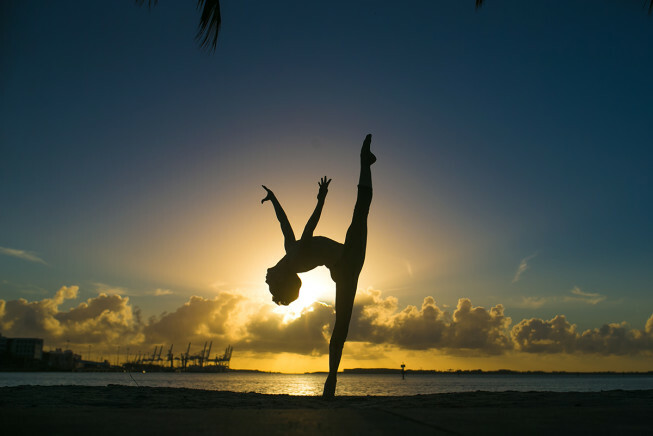 Pacific has established itself as a successful training grounds for dancers, both female and male. 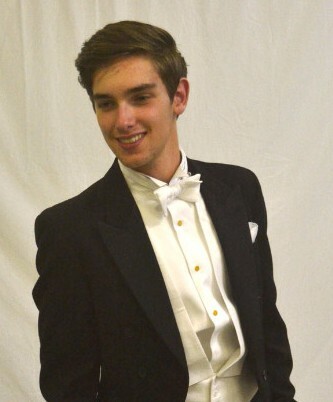 Trevor Miles now has a career in dance and modeling, and Nick Peregrino dances for BalletFleming in Philadelphia and The Suzanne Farrell Ballet in Washington, D.C. One current student, Connor Hammond, “has his eyes on the prize,” Chaney said. He’s already received several offers, attended a summer intensive in Philadelphia and is focused on launching his career in dance after graduation. 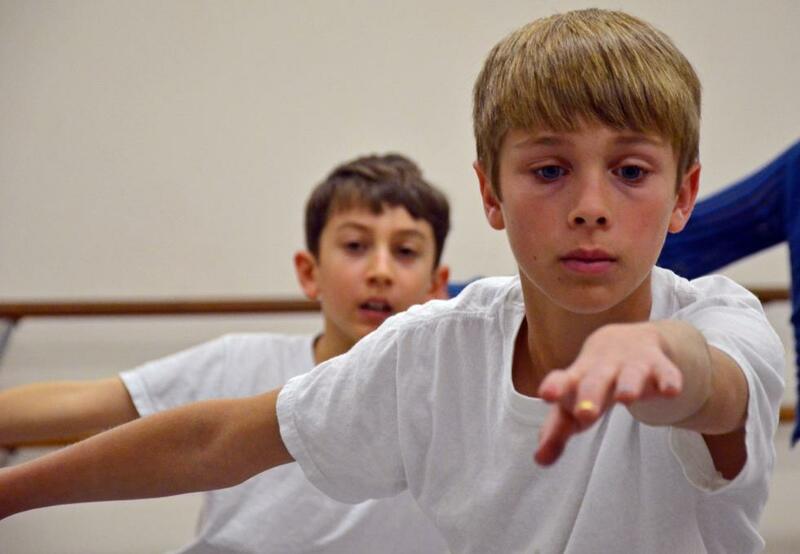 “The whole goal here is to raise awareness of boys’ importance to dance,” Chaney said. Pacific has seen its roster of boys grow over the years. The popularity of TV shows and movies like Step Up and So You Think You Can Dance have been a boost for dance programs, she said. “It shows that dance is a viable athletic endeavor and a way to make a living,” she said. 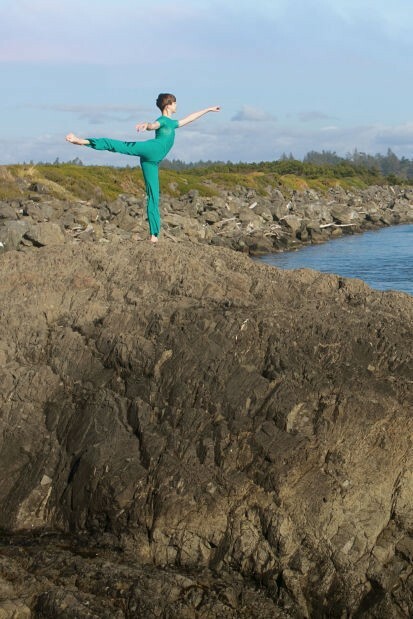 Dance Umbrella was established in 1994 to support dance education, provide performance opportunities and enrich cultural and arts awareness and appreciation throughout Coos and Curry counties. There are openings for up to 10 young men from ages 9 to 18. Registration is highly recommended by calling 541-269-7163. [Amherst, Massachuets, USA] – Caleb Ballantine is still pretty young — 12 — but he already knows what he wants to do with his life: dance. He’s been dancing since he was just 2 or 3, he reports, when he was moved by music at a wedding. 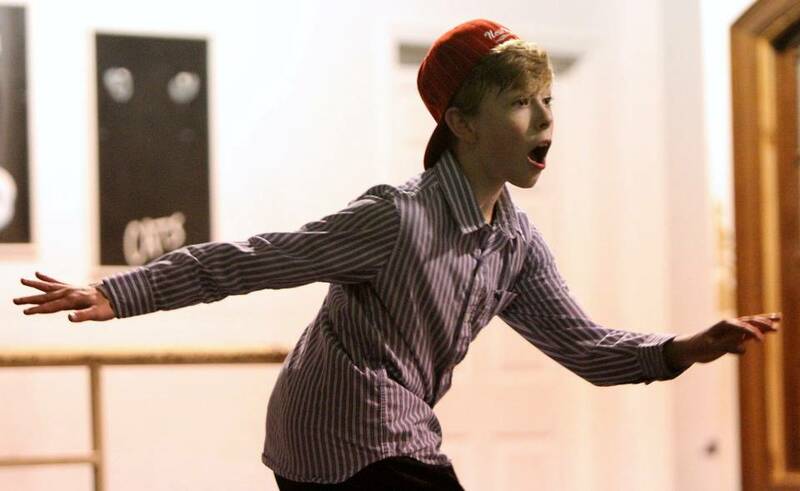 “I loved dance ever since,” the Amherst youngster says. Caleb comes by the passion honestly: His grandmother, Peggy Schwarz, is a professor emeritus of dance at the University of Massachusetts. But, dance isn’t his only means of communication: He’s an actor, a singer and a choreographer. And, oh, yes. He also does gymnastics. Hampshire Life: Describe the work you are doing now. Calab Ballantine: The dance techniques I am working on learning currently include hip-hop and ballet. I am in the Electric Boyz, a group of dancers at Pineapple Dance in Amherst that performs throughout the Valley and just had a show last month. I am also studying at Amherst Ballet, where I am focused on strength training, learning new moves and preparing for a spring performance. H.L. : What were your early influences? C.B. : I remember my first hip-hop class when I was about 4 years old. A few years later, I saw the musical “Billy Elliot” on Broadway with my grammy, Peggy Schwartz. I watched the dancer’s moves throughout the whole production and decided I wanted to be just like him. I started studying ballet and modern dance at that point in my life and have continued ever since. HL: What do you think the audience sees when they watch you dance? C.B. When I dance, the audience experiences a calm and exciting style at the same exact time. H.L. : What is your creative process like when you are making up your own steps? C.B. : I usually listen intently to music and my feet and my body start moving to the rhythm of the music, and I just dance. When I start to move, I feel like a bundle of energy inside that leads me to pop, move, bounce and fly throughout the stage, expressing my feelings and thoughts through my body. H.L. : How do you know you’re on the right track? C.B. : I know I am on the right track when the moves just come together and my body knows the whole dance or piece I am working on learning or creating. H.L. : What do you do when you get stuck? C.B. : I think about the move that comes ahead and try to reach for that movement and keep on going. H.L. : What did you do recently that relates to your art? H.L. : What are your dreams for your future? C.B. : My dreams include going to dance school in New York City, performing on Broadway and at Jacob’s Pillow Dance Festival. Whenever I go to Jacob’s Pillow the dancing is amazing and it feels like home. I am traveling to Israel in December and plan to visit the Susanne Dahlal Center for Dance in Tel Aviv. I think I was born to dance. [Manila, Philippines] – In a culture that hails machismo as an asset, in an art form predominantly peopled by females, it is seldom to chance upon young males who declare their intent to pursue dance for the plain and simple reason that they like it. In recent decades in the Philippines, the average age of males choosing to take up dancing is about 17. In other countries, like the United States, for example, it is not unusual for young boys to take to dance studios at an earlier age like 8 or 9. Perhaps times, indeed, are a-changing because the male dance population is slowly getting younger. To the dance aficionado, this is good news because it will mean that good male dancers will have longer stage time. In the ballet world and in a more rarified dance form, flamenco, two young men have set their eyes far into the dance world. 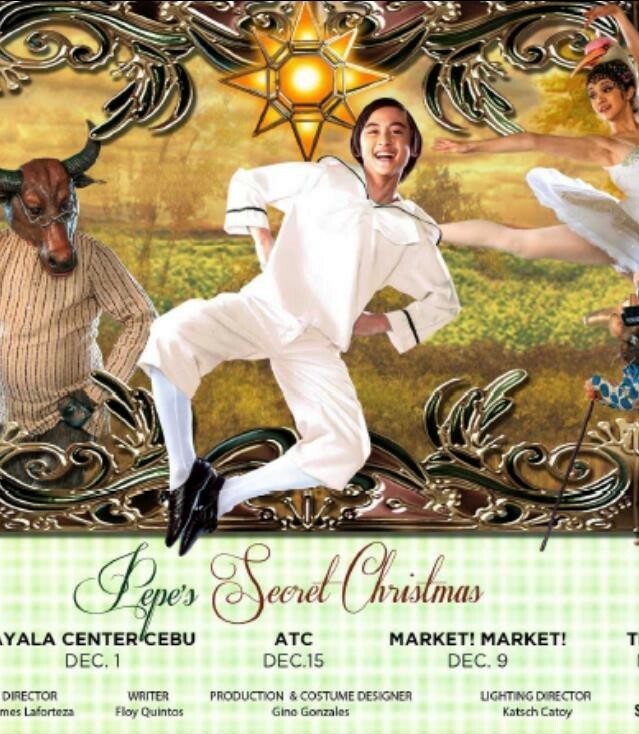 At age 10, Lope Lim, on a family vacation in Las Vegas, watched a show that featured a hip-hopping Fil-American masked dance group called the Jabbowokeez, which in 2008 won Best American Dance Crew. Finally, he raised up the courage to ask his mother to enrol him in dance class. It must have been around this time that Sofia Zobel-Elizalde, directress of Steps Dance Studio, saw him jump. Her eyes, trained after 20 years of running a dance studio, and many more years spent as a dancer herself, recognized the potential in Lope. Ironically it wasn’t a hip-hop class he joined but ballet. It has been five years since Lope stepped into a dance studio. Finishing an intensive summer workshop at the Alvin Ailey Dance Studios in New York, he looks forward to six months training at the Kirov School in Washington, DC, an award given to him as the silver medalist in the Junior Division B in this year’s Asian Grad Prix held in Hongkong. Given his lean physique, Lope is aware it is ballet that suits his body type. ” Ballet likes my body,” he says. He does not, however, inhibit himself from dancing jazz, contemporary and hip hop. He mulls over his dance preferences, citing the neoclassical style of Hamburg Ballet’s John Neumier, while also attracted to the work of choreographer Ohad Noharin of Israel’s Batsheva Dance Company. Noharin has developed his own dance style called Gaga, which has a seemingly free-style flowing movement that requires the dancer to be so intimately knowledgeable of his body that the movement it produces stems from an incredible discipline of knowing how far or how tight it can move. Neumier’s neo-classical pieces are highly intellectual.“The dances they produce are just so versatile and innovative that you can’t help but want to dance for them,” enthuses Lope. In a recent preview for a competition, the Lope whom I had first seen dancing lyrically at age 10 in a Christmas presentation of Steps Dance Studio, had now grown into a 14-year-old adolescent, lean and handsome of face. And even this early, he exhibited strength and determination in his dancing. In a neo-Filipino piece, his sharp accents cut the air, his musicality obvious in his phrasing. The assuredness in the precision of his movements, specifically his footwork, showed a mastery of his anatomy on the choreography. It was a breath of fresh air. Meanwhile, 22-year-old Russell Wisden has chosen flamenco, particularly Nuevo Flamenco, perhaps the purest form of flamenco, as it almost remains faithful to the original form the Gypsies originated in their wanderings from India to Spain. Where ballet urges the dancer to use his core to defy gravity, flamenco, with its rhythms and counter-rhythms, requires the dancer to use his core just as strongly, enabling him to execute zapateo (footwork) in rhythmic precision, yet rapidly, and on a downward emphasis. Russell was 3 and living in Singapore when he would accompany his mother to take his older sister to ballet class. “From those days, I developed a love for music and rhythm which took me through the multi-disciplines of classical ballet, ballroom, jazz, modern and hip-hop,” he recalls. In 2009, his mother enrolled him and his two sisters, Rosanna and Rosvera, in a 24-session flamenco program under Cecile de Joya at Fundacion Centro Flamenco. De Joya, whose patience in teaching beginners the complexities of flamenco is well-known, spotted the talent in the siblings, and in Russell particularly, being the only male in her class. Shortly after, the siblings were sent to Spain, where they spent two months studying flamenco. They go back there regularly “to study the rhythmic patterns, stanzaic form and mode of the various palos (rhythms). It gives us a depth of the feel for the Gitanos ethnicity of Andalusian flamenco,” enthuses Russell. Flamenco traditionally is only complete with a quadro: the dancer, the guitarist, the singer and the one who claps. Intrigued by each of these, Russell learned guitar and percussion, and has also started to compose music and even attempts to sing (“medyo kulang pa sa vocal”). Russell’s innate talent for this dance form and its music has already made him a qualified teacher for dance, guitar and cajon in the flamenco Center, at the Ballet Philippines Studio in SM Aura, Makati Sports Club and Symmetry Dance Studio in Parañaque. He performs regularly at tablaos with Centro Flamenco and in Singapore, where he is occasionally invited to perform, at times with his sisters. Being half-British helps in the stereotyping of what a bailaor should look like. To even add to that mystique, Russell keeps his hair long. Lean and tall, he possesses that undefinable quality called duende, which sets apart an ordinary dancer who knows his steps, from a performer who feels his dance. In Russell, the package is complete. Lope Lim and Russell Wisden are two young men who have had a calling so unlike any other, and both pursue it with a determination and a passion; and for us potential spectators, the better for the refinement of our lives. [Daytona Beach, Florida, USA] – John Zamborsky, 14, a freshman at Spruce Creek High School, dreams of making it big as a dancer in Broadway musicals.“That’s a tough nut to crack, but I feel the sky is the limit,” he said. A dancer for seven years, Zamborsky said one factor that won’t stop him is any social stigma against boys who dance. “If you are interested, don’t let something like a stereotype or a group of people who like to single out male dancers keep you from doing what you really want to do,” he said. “Just follow your heart,” Zamborsky said. Like Zamborsky, Tanner Noronha Weeks, 11, is a dancer at the South Beach Dance Academy in downtown Daytona Beach. He got into dancing when his younger sister, Natara, 10, started taking classes. Tanner is now in his fifth year of dance. “This is what I love,” he said. Tap is his favorite form of dance. He has entertained at retirement homes. But he also takes classes in jazz, hip hop, ballet and musical theater. His instructors estimate that he takes about 18 hours of instruction a week for both classes and training for dance competitions. Tanner said the dance school is like one “big family.” The people he has met “have been there for me, even when I have gone through rough times,” Tanner said. Jerome DeVito, the other co-owner of the South Beach Dance Academy, so-named because it used to be located on South Beach Street, said the participation of so many professional athletes on the popular dance shows has made it easier for boys to take up dance. “I think the teasing at school is less and less nowadays,” DeVito said. Dancing also appeals to men as a form of exercise. The school has gotten football players to take dance classes in the offseason, Mahoney said.